A beautiful trout loch and nature reserve situated about 10 miles to the south of Inverness. A sizeable loch at about 2 miles in length, east to west, with no petrol or electric outboard motors allowed. Trout average ¾lb with a few fish up to 2 lbs. Permits from Graham's tackle shop Inverness, Tel: 01463 233178. Although primarily fished for salmon in summer months, the River Glass offers some excellent trout fishing in the spring. Permits from Eagle Brae, Tel: 01463 761301. 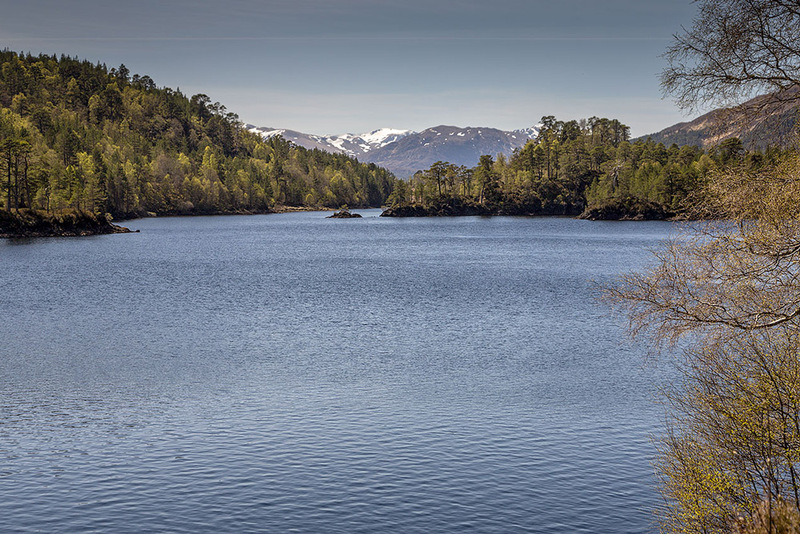 Loch Beannacharan is a sizeable trout loch situated about 6.5 miles up Glen Strathfarrar from where it meets the River Glass to form the Beauly. Boat hire from Strathglass Fishings, Tel: 01456 415477. Loch Benevean (Beinn a'Mheadhoin) lies at the head of Strathglass in Glen Affric, one of the most beautiful glens in the Highlands. It's a picturesque loch studded with islands, offering interesting trout fishing in a stunning setting.